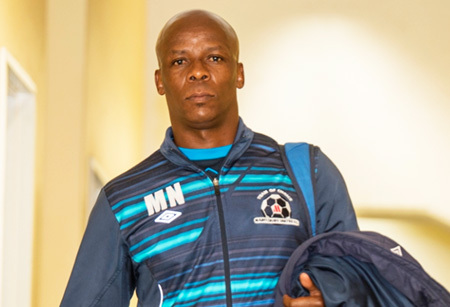 Maritzburg United has completed their two week training camp in the KZN Midlands, and are now involved in a series of friendly games in preparation for the uThukela Mayoral Cup in Ladysmith this coming Sunday. Lamontville Golden Arrows is another KZN outfit that is involved in this cup which was officially launched on the 9th of July 2015. Maritzburg United has taken part in this tournament for several years now. About the Mayoral Cup, the coach was clear that as much as they were preparing the team for the new season, he wanted to win it to boost everyone’s confidence. “As a new coach at the helm, you want to win everything. As much as we are preparing, I am sure, looking at the positivity at training, we’re going to do well”, he concluded. Maritzburg United’s first official encounter will be against former coach Steve Komphela’s Kaizer Chiefs in the MTN top eight battle. The first league game will be at home against new comers Jomo Cosmos on the 10 of August 2015.